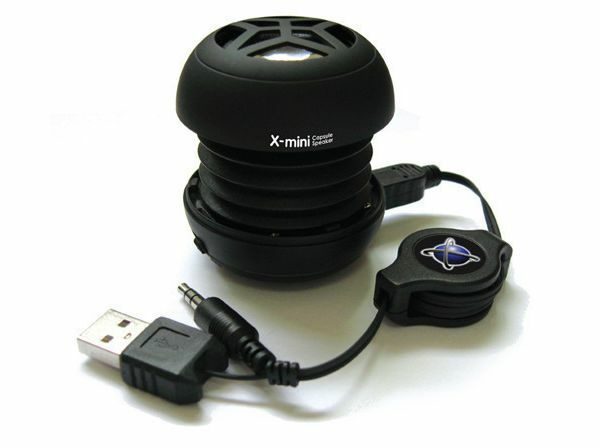 X-Mini Capsule is one of the smallest speakers with built in bass support, launched in the world. It is an innovative audio portable gadget. It is as small as can be fit in the palm of a hand. Though it is small in size but the quality is very justifiable and even on full volume, the sound does not crack because of it’s physique and use of vacuum bass technology. The vacuum which impersonate the resonance features of a sub-woofer and gives the X-Mini Capsule a crisp, full bodied sound and volume. The vacuum can be extended or closed as per the need. It comes with two built in batteries with 8 hours continuous playback. It is a best accessory to have with MP3 players, Laptops, Mobile Phone, Portable Games soothes.